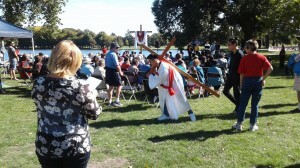 Above image shows ‘Encounter’ youth led by Allen Hou from the Christchurch Chinese Church enacting the passion of the Christ! Programme also included special songs by Ken Webb and his team, Andrew Bell and Benjamin Samuel. Pastor Tawanda Mushariwa, Pastor of Forward in Faith shared the Gospel message while his Church group led with a lively time of worship. 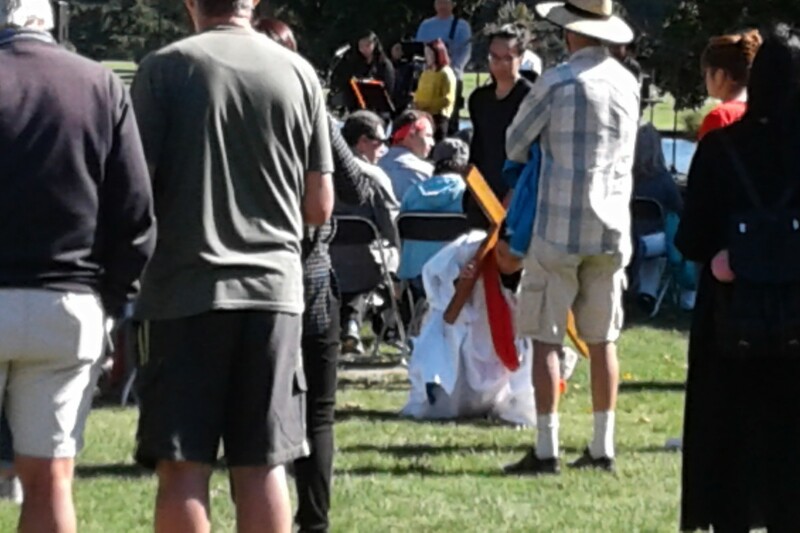 Judy Greer presented the responsive reading and Ps Jack Stuart of the Chinese Church spoke on the significance of Good Friday and concluded the event with an altar call.